No! I don't want to continue watching! Netflix saves where you are in a show or movie, so if you ever stop and come back, you can pick up where you left off. It’s a great feature, but it’s also a curse. Sometimes you need to know how to remove continue watching from Netflix. Maybe you’re using a friend or family member’s Netflix account, or you watched something you don’t want your significant other to see. Sometimes you try a new show, don’t like it, and don’t want Netflix to keep recommending it. There’s also a possibility you finished the movie or show but stopped at the end credits. Whatever the reason, we’ll walk you through how to get rid of continue watching on Netflix. You can only do this on your computer or mobile device (not Smart TVs or any streaming devices). To start, log in to your Netflix account and select the profile you want to delete continue watching items from. Then navigate to Viewing activity. Tap the More sandwich menu at the bottom right of the screen. Select the account you wish to edit at the top of the screen and tap Account. This will open a mobile browser window and direct you to Netflix's mobile site. Scroll down and tap Viewing activity, located near the bottom. Next, click on the icon that looks like a circle with a line through it. Click on the Hide Series? link. Click the down arrow next to your profile pic at the top right of the screen. The steps are then the same as with the mobile browser. Find the movie or show you want to delete from your watchlist. Select the circle with the line through it to the right of the title. If you want to remove an entire series, select Hide series? Now, when you return to the menu, the deleted item will no longer appear in your “Continue Watching” queue. 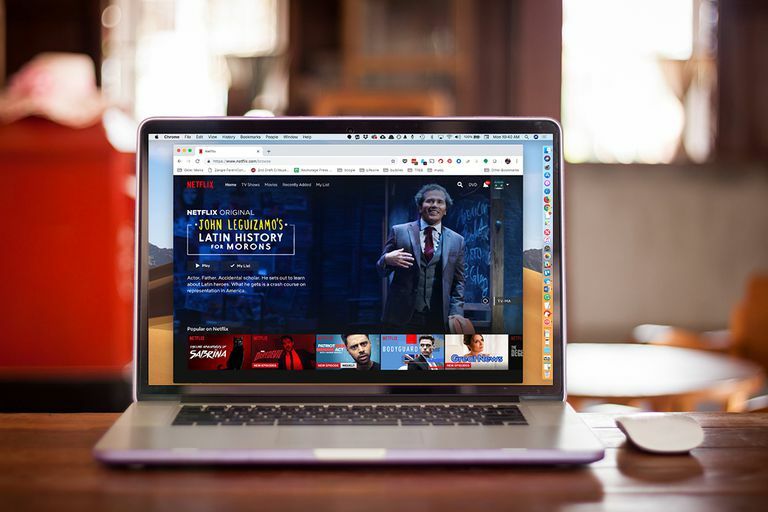 Netflix's algorithms will still use this information in its recommendation algorithms, so, you may still receive recommendations based on watching a partial show or movie. You may prefer to keep different types of viewing separated into different profiles. Regardless of which Netflix tier you subscribe to, you can have up to five profiles on a single account. This can help control what appears on your watchlist. For example, in a family of three, each person can have their own account, while one account is used by the parents viewing together, and the fifth is reserved for family viewing. Here’s how to create Netflix profiles on your account on any device. Open Netflix. You’ll be presented with your account's existing profiles. Type the name of the new profile and select Continue. Select the new profile to begin watching. That’s all there is to it. You can now watch on a completely fresh profile without affecting your pre-existing Continue Watching queue.